Have you ever been followed, chased, harassed or stalked… by a number? I only ask because it started happening to me a while ago. It began in the summer of 1997, when I was working for The Sunday Times Magazine in Wapping, east London, and we were moving offices. Every member of staff was given a unique number to slap on their furniture and equipment, so everything would theoretically end up in the right place in our new premises. We were only moving over the road, but this was a finely tuned operation, on a par with a royal wedding or a daring jewel robbery. I was handed a series of labels bearing the number 258, which struck me as an innocuous set of digits at the time. As the office move went ahead, I was flying to the USA. I was off to Roswell, New Mexico, having been commissioned to report on the 50th anniversary of the infamous UFO incident that occurred there in 1947. The popularity of the event meant that hotel rooms were scarce in Roswell, but the Sunday Times travel department told me proudly that they had bagged “the last hotel room in town” for me. 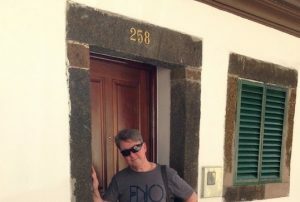 When I arrived, I noticed the number on my door was 258. 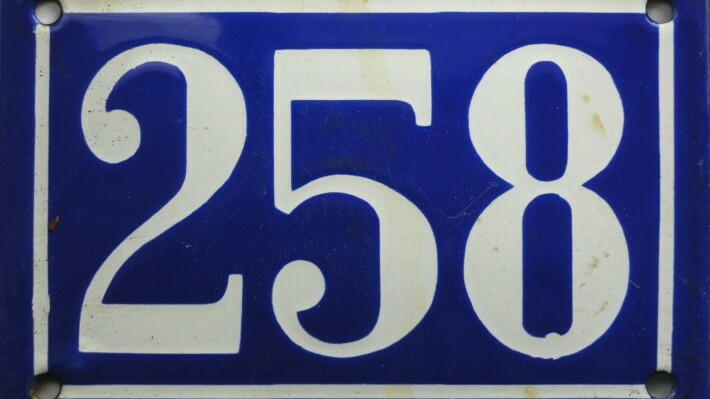 While I attended flying-saucer parties and interviewed ufologists and alien abductees in sunny Roswell, it dawned on me that 258 did have some personal significance. I was born in February 1958, so it was my date of birth in “m/yy” format. But I thought nothing more about it until I returned to London and attended a gig at the Shepherd’s Bush Empire on a rainy night in July, handed my umbrella to a cloakroom attendant, and received a pink ticket with the number 258. For several years afterwards, my spooky number continued to pop up in my life – on everything from raffle tickets to supermarket receipts. I remained intrigued and slightly freaked, but I decided to embrace the coincidence when I bought my first-ever mobile phone. I was given an entirely free choice of the final three digits of my first mobile number (those were the days), so you can probably guess which numbers I chose. I’ve also included the magic number in my Skype handle, trivia-lovers. When the year 2008 arrived, and the dates February 5 and May 2 approached, my overactive imagination had me wondering if I was being warned about them (2/5/8 being February 5 of that year using the US system, and May 2 using the British one). On February 5, there was a big tornado in America, and Comic Relief celebrated the 20th anniversary of the first Red Nose Day, but for me it was a fairly ordinary Tuesday. On May 2, there was a volcanic eruption in Chile, and Lily Allen turned 23, but as far as I was concerned, it was an otherwise uneventful Friday. My diary is blank for both of those days, but I’m likely to have bought a bunch of grapes, gone to the lavatory a couple of times, and listened to some music by the Beatles. There are other days on which I still take extra-special care when crossing the road or hanging from my roof gutters. These are the 258th days of every year – normally September 15, but September 14 if it’s a leap year. Now, I’m not an overexcited, gullible belief-monkey. Having read a little bit about statistics and probability, I know not to get too worked up about my numerical stalker. Number experts and digit-boffins say that we should expect many mathematical coincidences in our lives – that there is a much higher probability of numbers recurring than most people think. On top of that, there is the fact that silly old humans are always looking for patterns in their lives. And as soon as we become aware of a 258-style recurrence, we tend to notice it more, and even keep a lookout for it, which makes it seem oodles more meaningful and supernatural than it actually is. 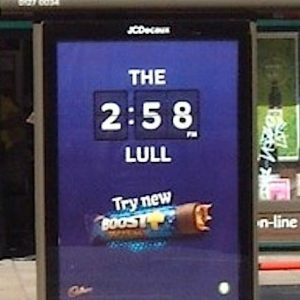 I saw it recently in a chocolate-bar advertisement on a bus shelter, for example. Being a typically good pattern-spotter, it wasn’t until recently that I noticed another piece of magic in those three digits. I’m usually excellent at remembering people’s birthdays, but for some reason I failed to memorise the birthday of a particular close friend. Every year I would miss the date, and he would go without the requisite card, cake, candles and balloons. I knew he was a Virgo, but hadn’t pinned down his actual womb-date in August or September. One day, as late summer loomed, I asked him what his pop-out date was. “August 25th,” he said. “Ha ha!” I chortled, as I converted the date to numerals and the realisation smacked me across my cerebral cortex. “I’ll never forget your birthday again. It’s 25/8!” He looked puzzled, so I told him the whole story of that number in my life, the way I’m telling you now. Share the post "I WAS HAUNTED… BY A NUMBER!" Comments for: I WAS HAUNTED… BY A NUMBER!